Today we’re officially launching Insta360 Studio for ONE X, a desktop editing software for our flagship ONE X camera. The updated software, whose past versions were available in beta, gives users a new set of tools to get the most out of their 5.7K 360 video. You can now add keyframes to your 360 video edits. It’s an intuitive, fast and cinematic way to reframe your footage. The mobile version of this technique, accomplished with Pivot Points, is a favorite feature on the ONE X app. On the desktop, it’s just as easy — you mark off keyframes in any direction of your 360 videos, and Studio connects them with smooth, cinematic pans. Studio for ONE X has been built from the ground up to smoothly play back and edit crisp 5.7K 360 video. That’s a lot of pixels to juggle, but they pay off in the quality of the final edit. Ready to tackle six axes of motion, FlowState is simply the smoothest software stabilization on the market. Studio for ONE X lets you toggle on and off FlowState, giving you a real-time preview of what the result will look like as you edit. You can add unique preset perspectives — like Tiny Planet, Crystal Ball or Natural View — throughout your video. Just choose a keyframe and then set a perspective to match the moment. Customize the speed and style of newly upgraded transition effects between any two frames of your video. Slide, dissolve or fade to get the perfect effect. Keyframes can be easily dragged to any point on the timeline, leaving all of their angle and effect settings intact. It’s a simple, time-saving way to make slight tweaks that take your edit to the next level. 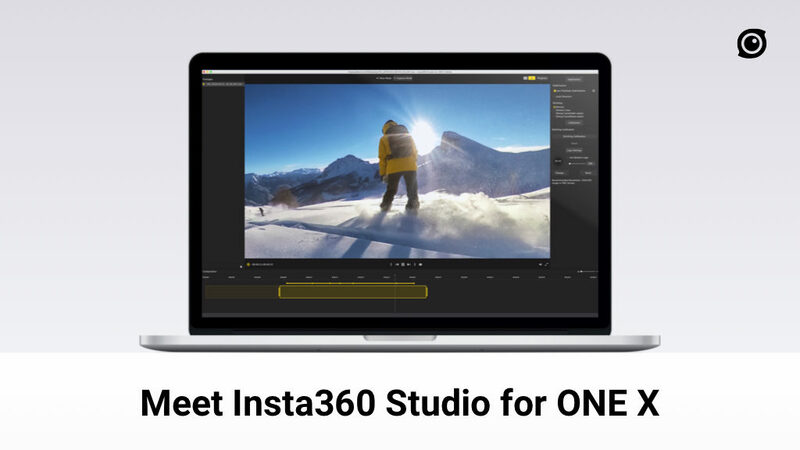 Along with support for Insta360’s proprietary .insv file format, Studio for ONE X lets you import and edit pre-stitched MP4’s in a standard 2:1 panoramic format. Insta360 Studio for ONE X is optimized for ONE X users. 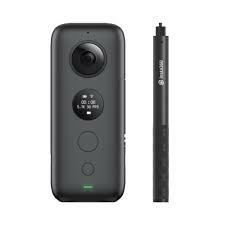 Users of other camera models should head to the Downloads page to get the latest Insta360 Studio software for their camera. Stay tuned for upcoming Studio updates for the Insta360 ONE, Insta360 Nano S and other camera models. Be sure to keep an eye on our blog to find out interesting ways 360 cameras are being utilized. Keep up with the latest in 360 photos and video by joining Insta360’s user group on Facebook and signing up for the Insta360 community mailing list.